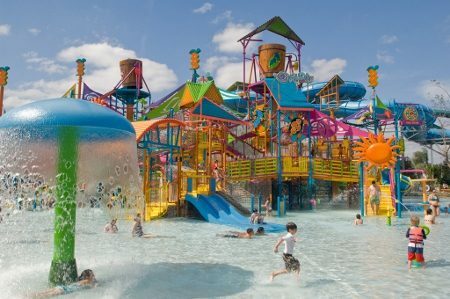 ORLANDO, Florida -- Aquatica, SeaWorld’s Waterpark, is offering incredible savings on single-day admission for Florida residents. Now through December 31, 2013, Floridians can purchase date-specific admission to Aquatica Orlando starting at only $19. Even during the fall, the waters are always warm and comfortable at Aquatica Orlando. Open throughout the holidays, Aquatica Orlando sends guests through racing rides, glistening lagoons and winding rivers all kept at a warm 82 degrees. This limited-time offer is only available online, and is limited to 6 tickets per transaction. Each ticket requires a name that must match with photo ID upon park entry. Tickets will be date specific and only valid on the date selected. Tickets must be purchased at least 24 hours in advance to receive the offer. Limited quantities of $19 tickets per day are available. Also, for Florida residents who would like to visit Aquatica Orlando again and again, they can purchase an Annual Pass with EZpay, the convenient monthly payment plan. Back for a limited time, residents can enjoy an entire year of splashin’ family fun for only $8 per month with EZpay. For more information about Aquatica Orlando, visit AquaticaOrlando.com.